This topic contains 0 replies, has 0 voices, and was last updated by duydo 1 year ago. 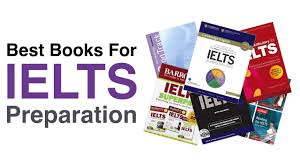 Hello, I have recently taken an IELTS test. What sports do you play? Why? What do you think about the changes in sports now and when you was young? Talk about a businessperson you admire. Do you wanna become a businessman? Which kind of good do you want to sell? Why? In your country, which type of good people often sell? Where would businessperson choose to start, renting a shop or buying a house? Do you think that older businessperson need to work hard? Extra questions based on your career.